Thanks for visiting Audi Natick in Natick, MA, where we work hard to create the best car-buying experience you've ever had. With 100 years of innovation behind them, the automakers at Audi know how to inspire confidence in each and every driver. Grasp the wheel of an Audi, and you'll feel the flawlessly engineered dynamics of a powerful engine, while an impressive display of technology lies at your fingertips. You can experience the exhilaration that comes with driving an impeccably designed Audi at Audi Natick, where we also provide the greater Boston area with excellent finance rates on car loans, quality pre-owned vehicles and impeccable auto repairs with genuine Audi parts. We thank each of our trusting and loyal customers for making us one of New England's largest Audi dealerships. It's Bernardi for now...Bernardi for life! We invite you to come and experience the difference today. When you are on the search for a new Audi for sale in Natick, MA, Audi Natick will help you find the perfect one to compliment your lifestyle. Our impressive selection of new Audi models features the A3, A4, A5, Q3, Q5 and more. So we guarantee we'll have one that peaks your interest. Stop by and work one-on-one with a member of our team when you're ready to begin the process. We promise it'll be a breeze! Plus, we also offer monthly new Audi offers, so you can get more for your money every time. When you choose to shop our huge selection of used cars for sale in Natick, MA, here at Audi Natick, you'll have complete peace of mind no matter where the road takes you. Every used car on our lot has undergone a thorough inspection, guaranteeing quality and reliable transportation for years to come. Take a moment to browse through our featured pre-owned vehicles which features everything from luxury to utility vehicles. Plus, our friendly and knowledgeable staff is more than happy to help you find the perfect used car for you. No one is more qualified to service your Audi than an Audi dealership, and we are proud to be one of New England's largest Audi dealerships. Stop by Audi Natick and take advantage of our ASE-certified technicians with decades of combined knowledge and experience regarding anything and everything Audi. Our Service Center in Natick, MA, utilizes all the latest tools and technology in order to repair your vehicle quickly, correctly and affordable every single time. For your convenience, you have the option to schedule service online and order parts from the comfort of your home or office using our easy-to-follow online tools. For quality workmanship at an incomparable price, choose Audi Natick! We don't want you to be discouraged when considering your finance options. Which is why our team of highly trained finance professionals are here to ease your worries and assist you through the entire process - step by step. We utilize special finance programs that offer the most competitive finance rates and lease options, so you can choose which one is the better option for you. When you are ready to begin the process, then you should fill out our easy and secure online finance application. Audi Natick is conveniently located on Route 9 West between the Oak St. intersection and Route 27 - just minutes from the Mass Pike (I-90) and a short drive from Boston, Concord,Wellesley, Weston and Central MA. If you have any questions, feel free to give us a call anytime, or stop by and visit us at 549 Worcester Street, Natick, MA	01760 today for a test-drive. 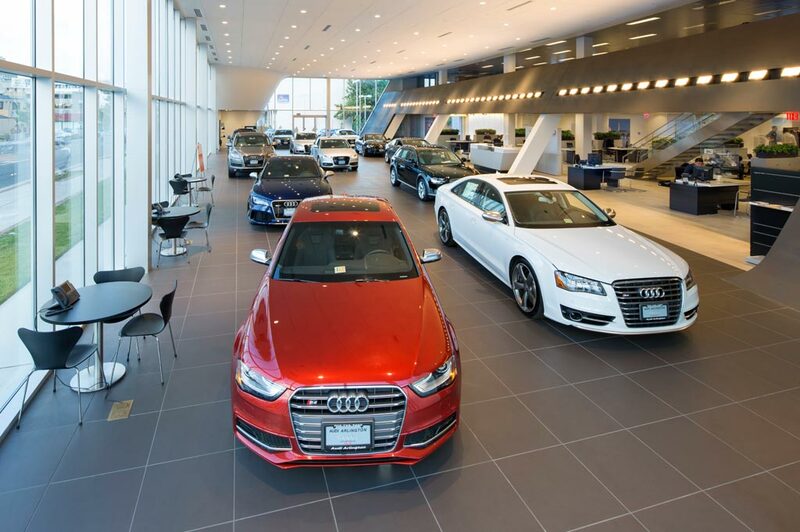 Audi Natick in Natick, MA treats the needs of each individual customer with paramount concern. We know that you have high expectations, and as a car dealer we enjoy the challenge of meeting and exceeding those standards each and every time. Allow us to demonstrate our commitment to excellence! Our experienced sales staff is eager to share its knowledge and enthusiasm with you. We encourage you to browse our online inventory, schedule a test drive and investigate financing options. You can also request more information about a vehicle using our online form or by calling 508-651-0388.